There was a time, many moons ago, when bands spent days, weeks and even months together in a studio sweating over their latest collection of songs, honing the compositions together to produce the best sound they could with the available technology and their collective skills. In more recent years a new phenomenon has arisen of albums put together without the band having to be in the same room or even the same continent! 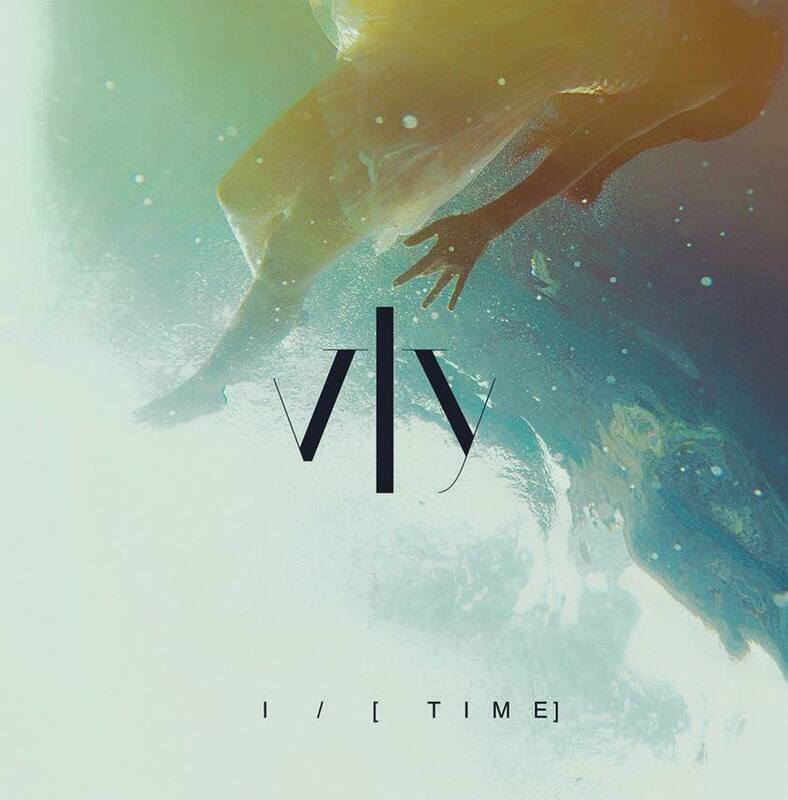 Vly’s ‘I/ (Time)’ is such a product. The brainchild of former Crippled Black Phoenix guitarist Karl Demata, the band is made up of his former band-mate Chris Heilmann on bass, Keith Gladysz on vocals, Elisa Montaldo on keys and Mattias Olsson on drums, making it a truly international ensemble, drawing from the UK, US, Italy & Sweden. The music is deeply rooted in classic prog with more contemporary elements surfacing throughout the mix. The opener, ‘Circles’ has a strong Radiohead or Riverside vibe for me to begin with, with shades of Pink Floyd coming out in the guitar solo. That Floyd influence comes across in ‘Time’ – the title track, I suppose – but with a touch of Bowie and even The Beatles in there. This is a bigger sound, building to a stirring crescendo, before segueing into ‘Time Elapsed’, an electronic ambient interlude. ‘Headache’ begins with a jazzy bass, and the song itself puts me in mind of Hogarth-era Marillion. It is more of a ‘song’ in its structure than the earlier tracks to me. ‘Out of the Maze’ is darker tune, rockier and riff-driven: in contrast ‘Hypnotic’ is just that – slower, quite mesmeric with good overlapping counterpoint. ‘Time Remembered’ is a gentle solo piano interlude – quite beautiful in its simplicity. ‘Silver Beaches’ is the first of a trio of tunes in triple time, an acoustic song with staccato strings, airy vocals and Hammond organ that builds towards the end of the song. It puts me in mind of Steven Wilson, but more cheerful. ‘Message in Water’ begins heavier, but soon settles into a gentle 6/8 rhythm, with some nice bluesy slide guitar near the end. ‘Dark Days’ has a good riffy start, with vocals that evoke in turn Al Stewart, Tom Petty and David Bowie (to me anyhow). ‘Perfect Place’, the longest song of the set at 8:36, wears its Floyd influences clearly on its sleeve (in the way that the bands Freedom to Glide and Airbag do – there are clear similarities between the two here), even in its more ‘experimental’ passages in the final third of the track that are more ‘Meddle’ than ‘Division Bell’. ‘The album concludes with ‘Time Forgotten’, a gentle ambient piece that draws you in before letting you go. If your preference is for music which evokes the classic era of Progressive rock, then there is much in this offering to satisfy, but you will also be challenged. The musicianship is exemplary throughout. Having heard very little of Demata’s work with CBP I can’t comment as to how it compares, but this is a very worthwhile project. Stepping into the chair and taking a break from his Flight of the Skypilot blog is my good friend John Simms. When someone steps out of their usual musical genre and produces something different, it can often spark some interest. John Hackett is well known in musical circles as an accomplished flautist, and has contributed to ambient and dance music as well as classical and progressive recordings. The majority of his recorded output in recent years, in his own name, has been classical works – often self-penned and usually with classical guitar accompaniment. Indeed one of his biggest selling albums was ‘Sketches of Satie’ recorded with brother Steve in 2000. 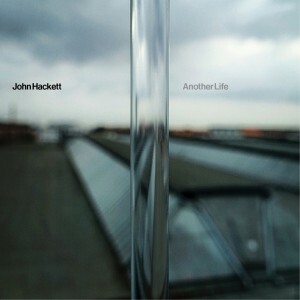 The new album ‘Another Life’ is different in that it is a rock album – even a progressive rock album! Only once before has John done anything similar, with 2005’s ‘Checking Out Of London’, and here again he has called on the talents of Nick Clabburn to provide the lyrics for the 13 songs. This is an album of contrasts: light and shade; rock, some quite poppy moments, and more quiet, meditative tunes. John plays not only his trade-mark flute, but also guitars, bass and occasional keyboards. His main collaborator is Nick Magnus, and this – along with the frequent appearance of Steve on guitar – gives the album, for me, a feel reminiscent of some of Steve’s earlier solo work. The vocals are strong (without being overpowering) expressive and varied, with a good use of harmonies, and I couldn’t help feeling that maybe Steve should have used him in this capacity on some of his own solo albums, particularly when he was beginning to sing his own material. John’s guitar work is not to be sniffed at, but it is with flute in hand that he really excels. 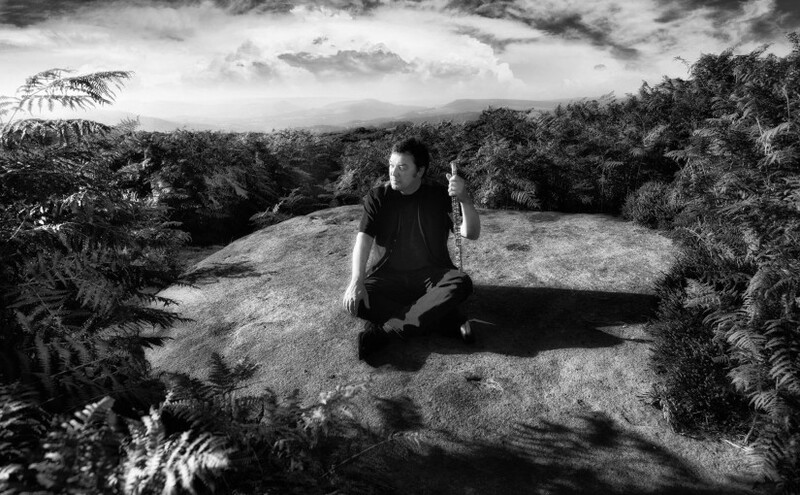 In the opening song, Another Life, there is some haunting, swooping flute work which brought to mind his work on Tigermoth on Steve’s ‘Spectral Mornings’ album, and Life in Reverse, one of the quieter songs, uses the flute where others would put in another guitar solo, and does so to great effect. This song, along with Poison Town, has a definite sound of Tim Bowness about it, and I would love to hear Tim’s take on either of these tracks. Satellite deserves some special attention, featuring as it does not only Steve – but on harmonica rather than guitar – and Anthony Phillips on 12-string. It has a blues-y, Neil Young vibe with a tinge of early pastoral Genesis that can only come with Phillips’ signature style. For those who enjoy their music a little on the soft side, this is a collection which repays repeated listening: good, though not great, but still a worthy addition to John’s canon and repertoire. John Simms is a long term Prog fan in his mid-fifties from Yorkshire, currently living in exile in Cumbria. By day (and sometimes at night too) he works as a Methodist clergyman, and when not doing that he scours the outer reaches of the Progressive universe searching for musical nuggets. This latter endeavour is slowly bankrupting him.